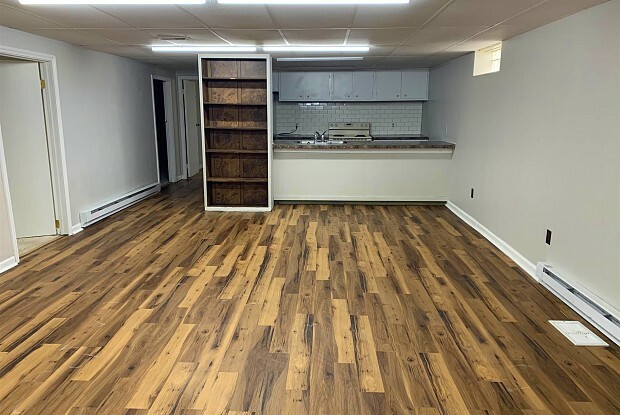 This basement unit is fully finished with a large, open living area connected to a full kitchen with a bar. 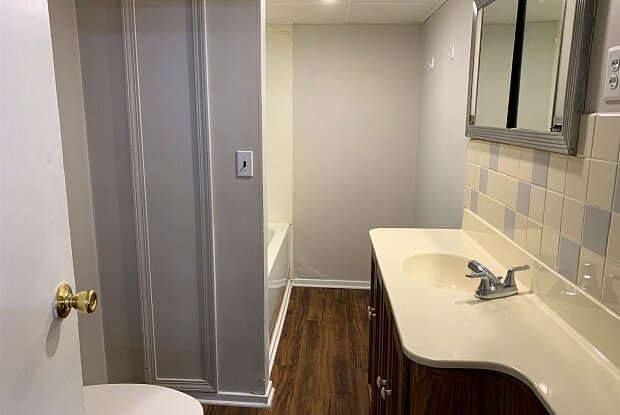 It also includes 3 bedrooms, 1 full bath with a tub/ shower, and two additional rooms that can be used as storage, or additional living spaces. Background and credit check apply. Deposit is one month's rent. You may view the home at the open house or with a completed preliminary rental application. No smoking and some pets allowed with breed restrictions in place. Have a question for 215 E Lincoln Highway?